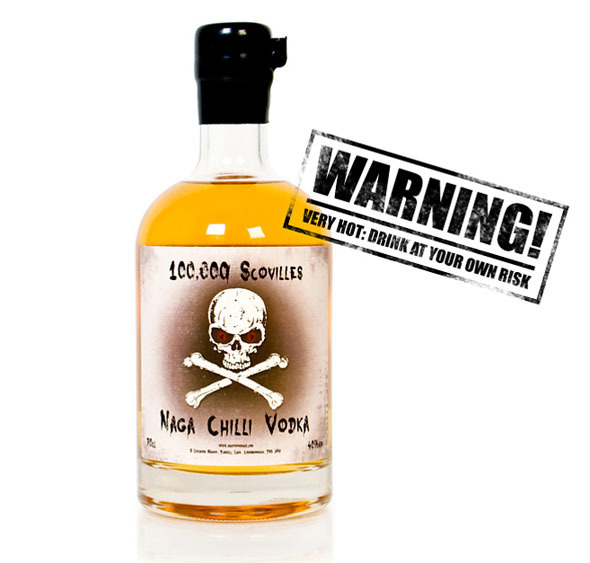 Naga Chilli Vodka claims to be 100,000 scovilles hot, which according to the makers is up there with habanero peppers. They warn against even drinking this in full shots. (via foodiggity.com).